A rigorous, comprehensive training program for dance students (15+), professional aspirants, and early career dancers. This program filled with challenging technique classes, artistic coaching, professional development seminars, and meaningful mentorship. Technique classes include Ballet, Contemporary, Modern, Jazz, and Improvisation. Dancers will also learn DanceWorks Chicago repertoire and perform in a showing at the Ruth Page Theater. Faculty: DWC Artistic Director Julie Nakagawa, Dance360 Program Director Sara Bibik, current and former DWC dancers, and MORE! 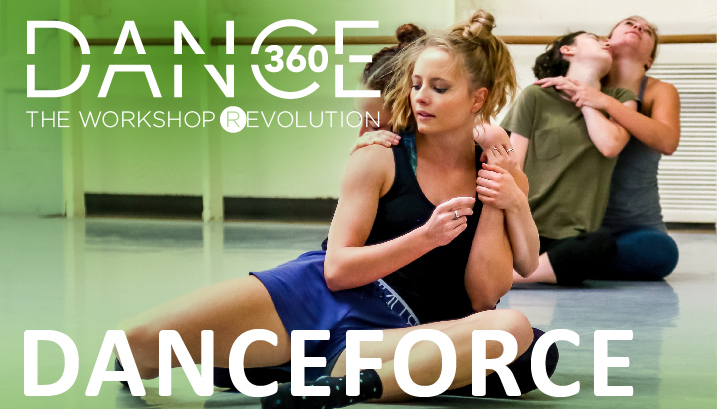 Click HERE for DanceForce flyer. Scholarships and work study position are available. Please contact Sara Bibik Dance360 Program Director to learn more.